Situated on a beautiful cove with stunning water views, this lakefront paradise demonstrates the best of what Livingston has to offer. Built with leisure in mind, this one-of-a-kind home features a gym, game room, workshop, media room, and an airconditioned sunroom with panoramic views of the serene waters. Dream up chef-inspired cuisines in the island kitchen with Bordeaux granite countertops and oak cabinetry. The master suite boasts double sinks, a whirlpool tub, and French doors leading out to a jacuzzi room. 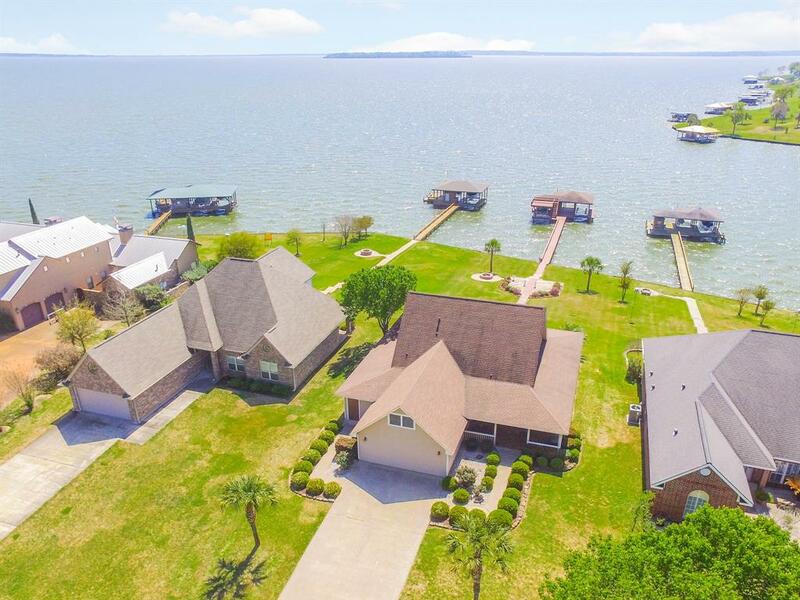 This property’s tranquil setting includes a spacious backyard, fire pit, steel bulkhead, and pier leading out to a spectacular 2-story dock with 2 boat slips and 2 jet ski slips. Schedule your private showing today.